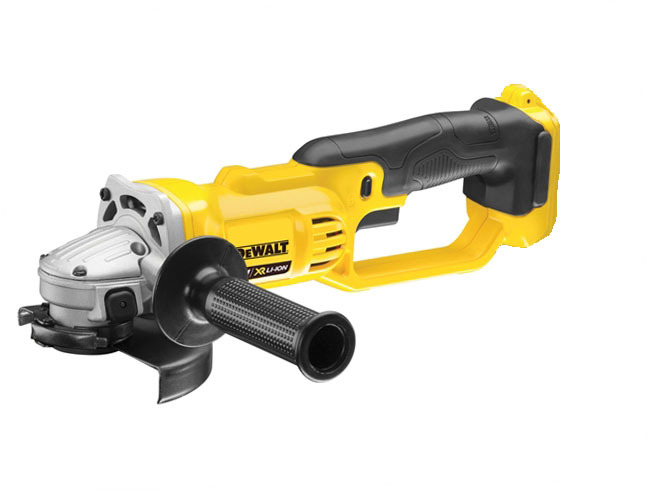 DeWalt DCG412 18 Volt 125mm cordless mini-grinder with powerful fan cooled motor and intelligent variable speed trigger and lock-off switch for enhanced work safety and control. 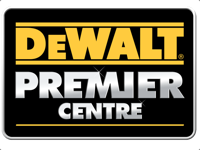 brushes and delivers up to 7,000 rotations per minute for fast cutting and grinding applications. 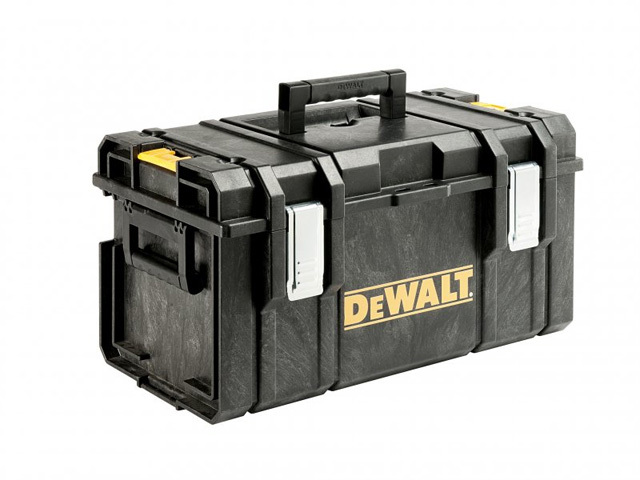 increasing user productivity and the low profile jam pot gear case improves gear durability and ergonomics. 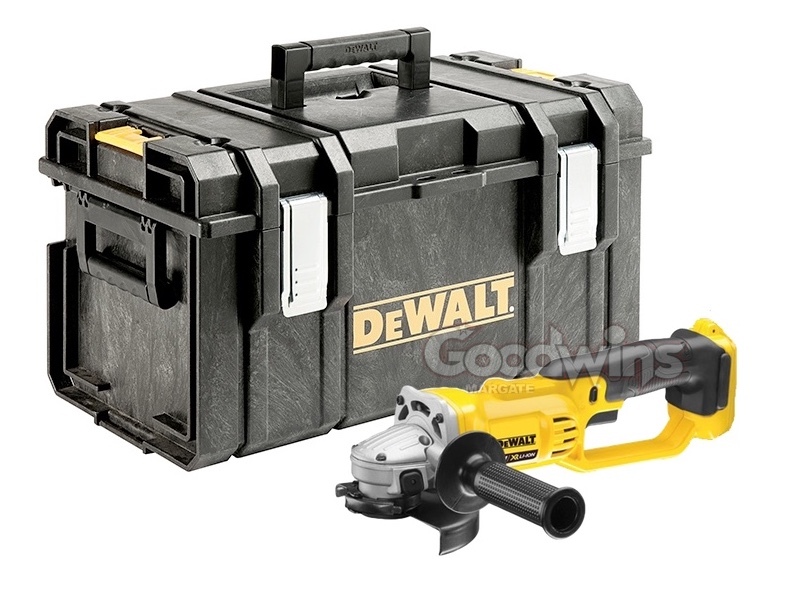 2 position side handle, Keyless protective guard and Blade Wrench. As a Bare Unit this item is NOT supplied with any batteries or charger. 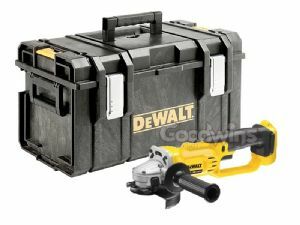 The DS300 box was originally from a Dewalt 6 Kit so the containing foam will have empty cutouts for other powertools and is NOT supplied with a tote tray. 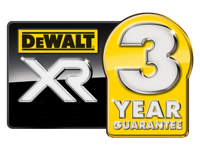 With Full Dewalt EU/UK Manufacturer 3 Year Warranty if you register online at Dewalt’s website. 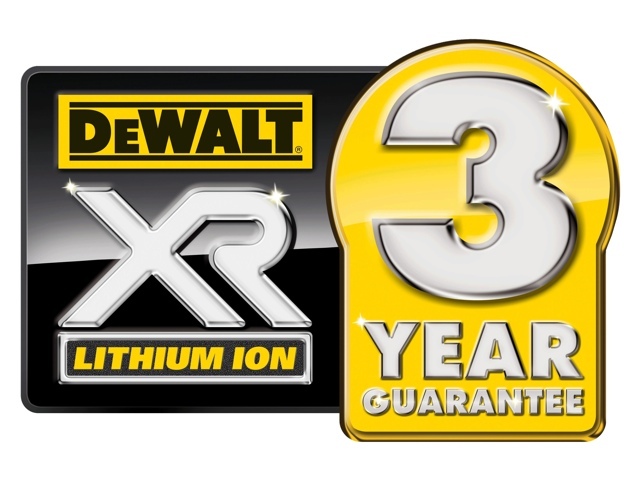 If you do not register then you only get 12 months warranty!